How Do You Know if You're Addicted to Amphetamines? What Types of Amphetamine Addiction Treatment Are Available? What Other Factors Should You Look for in a Rehab Program? Are There Treatment Programs for Teens? Amphetamines have many therapeutic benefits. But when people begin to abuse amphetamines to get high, stay up late to study or to lose weight, an addiction can develop. How Do You Know if You’re Addicted to Amphetamines? Who Answers? for more information on finding the best amphetamine recovery center for you or a loved one. Prescription drug abuse is on the rise, and amphetamine dependency (with drugs such as Adderall and Vyvanse) is an increasingly serious issue that often requires treatment. It’s important to be aware of the signs of an addiction to amphetamines. People develop addictions for different reasons and require different approaches. What’s important is that you find the treatment facility that addresses your personal needs as well as any co-occurring disorders such as anxiety or depression. People develop amphetamine addictions for different reasons and require different approaches, depending on the severity of the addiction, length of the addiction and underlying problems. Inpatient drug rehab programs are a great option for those suffering from severe and debilitating addictions. This kind of rehabilitation allows you to focus solely on your recovery while living at the facility for the duration of treatment. You can escape your day-to-day triggers and negative influences. At an inpatient recovery center, you will receive 24-hour care and medical supervision while rehabilitating. Different types of inpatient treatment centers are designed to address your personal needs and situation. Residential: You live at the treatment center while receiving amphetamine abuse treatment. Typically, these recovery facilities have 30-day, 60-day and 90-day programs, though the time period can be adjusted. Executive: This type of treatment center caters to working professionals who cannot take time off from work to attend rehab. Luxury: This kind of treatment center has added amenities and recreational activities, offers private rooms and resembles a vacation resort. Individual therapy addresses the underlying problems that may have influenced your amphetamine use. It also helps you develop coping skills in the face of stressors, while working to repair broken relationships. 12-step programs, which are fellowships inspired by the original 12 steps of Alcoholics Anonymous, provide a supportive and positive environment for those seeking to live a sober life. The programs operate under the notion that those suffering from an amphetamine addiction are powerless and must admit this before pursuing recovery. Narcotics Anonymous: 6 This 12-step fellowship welcomes people addicted to all different types of drugs. Membership is free and meetings are held all over the world. Chemically Dependent Anonymous: 7 Like Narcotics Anonymous, Chemically Dependent Anonymous is a 12-step fellowship that provides a supportive environment to those suffering from an addiction to any substance. Members share their experiences with one another and help to promote hope and strength. Those suffering from an addiction to amphetamines may also present with a mental health disorder-a combination known as dual diagnosis. Both disorders should simultaneously be addressed or the risk of relapse may increase. Severe depression, for example, is a common withdrawal symptom associated with amphetamine abuse. Depression can complicate recovery from amphetamine use disorder if untreated. Effective treatment will address the depression and abuse of amphetamine at the same time. Intake: A therapist will evaluate the nature of your addiction as well as identify any co-occurring mental health disorders. This will allow the recovery center to create an individualized treatment plan that focuses on treating your personal needs and addiction. Detox/medication-assisted treatment: Detox and withdrawal from amphetamines can lead to severe depression and suicidal ideation. Health care professionals will provide 24-hour medical care to you while you are detoxing from amphetamines in order to promote comfort and safety. Therapy: A therapist meets with you 1-on-1 or in a group to uncover the root problems that led to your amphetamine abuse as well as help you to develop healthy coping skills. Matrix Model: 9 This intensive outpatient program is specifically designed for the treatment of stimulant use disorder. It occurs over a 16-week period and includes relapse prevention, education, social support and counseling. Cognitive behavioral therapy: 10 This therapy focuses on the relationship between thoughts, feelings and behaviors, and works to teach coping skills for high-risk situations. Motivational interviewing: 10 As the name suggests, this therapy helps to motivate clients to want to make a positive and healthy change in their lives by entering amphetamine abuse treatment. Contingency management: 10 Patients are rewarded for positive behaviors, which encourages abstinence from amphetamines. Who Answers? to get more information about the cost of treatment and how to pay for it. Insurance coverage. Many insurance companies will provide partial or full coverage for addiction treatment. Call the number in the box above for more information. Type of treatment. Inpatient treatment is typically more expensive than outpatient, since the patient lives at the facility for the duration of treatment and receives 24-hour medical supervision. Some intensive outpatient programs can be costly as well. Location. Treatment centers located in beautiful and appealing areas will cost more than those not in a desirable location. Length of treatment. A 30-day program will cost less than a 60-day or a 90-day program, so it’s important to consider this when choosing the best amphetamine addiction treatment center for you. Health insurance exchange. If you don’t have coverage, you can use the state insurance marketplace set up under the Affordable Care Act to shop for health insurance and compare prices. Coverage varies from state to state. Payment plan. Treatment facilities will work with you to create a personalized payment plan that meets both your needs and your financial situation. Sliding scale. Some treatment facilities have a sliding scale payment method in which you only pay what you can afford. If you have a low income, then you won’t pay as much as those with higher incomes. Specialized loan companies for healthcare. Location: Some people want to stay close to home to see their friends and family, while others prefer to travel so that they can escape the drug-using environment. Qualification: It’s important to find a treatment center that has a qualified staff in order to provide you with the highest level of care. Not every rehabilitation center has qualified staff, so make sure that the addictions counselors are certified or licensed. Family involvement: 11 Addiction affects the entire family. Family therapy can use the family’s strengths to work toward abstinence and to improve the relationships affected by addiction. 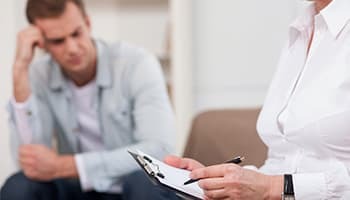 Individualized treatment: The treatment center should design an individualized treatment plan just for you, taking into consideration your amphetamine abuse and any other mental disorders or addictions. Amphetamines such as Adderall and Vyvanse are prescribed to teens, so a high potential for abuse exists among this age group. Specific treatment programs are available for teens suffering from an addiction to amphetamines. Inpatient: The teen lives at the treatment center to focus solely on his or her treatment outside of a peer-pressured environment. These programs may offer academic tutoring and work to get the family to be an active component in the teen’s rehabilitation. Outpatient: Outpatient treatment allows the teen to live at home and still attend school while in recovery. The length of time is varied and depends on the severity of the addiction. Wilderness: 13 These programs incorporate inpatient treatment with a wilderness trip. Licensed counselors and wilderness instructors accompany the group of teens on their expedition. Many teens addicted to amphetamines may also suffer from a mental health disorder or another substance addiction. In these situations, it will be important to find a treatment center able to manage poly-substance abuse and/or dual diagnosis conditions. Family involvement is emphasized in many teen recovery programs. Amphetamine abuse can lead to serious mental and physical problems. If you’re concerned about problematic amphetamine use, call 1-888-319-2606 Who Answers? – speak with a treatment support specialist about getting into a recovery program today.
. Morland J. (2000). Toxicity of drug abuse–amphetamine designer drugs (ecstasy): mental effects and consequences of single dose use. Toxicol Lett. 112-113:147-52.
. Lawyer G, Bjerkan PS, Hammarberg A, Jayaram-Lindstrom N, Franck J, Agartz I. (2010). Amphetamine dependence and co-morbid alcohol abuse: associations to brain cortical thickness. BMC Pharmacol. 10:5.
. Diagnostic and statistical manual of mental disorders: DSM-5. (5th ed.). (2013). Washington, D.C.: American Psychiatric Association.
. Brown, E., Nejtek, V., Perantie, D., Thomas, N., & Rush, A. (2003). Cocaine and Amphetamine Use in Patients With Psychiatric Illness. Journal of Clinical Psychopharmacology, 23(4), 384-388.